British Labour Party drops an investigation into MP who had a confrontation with leader Jeremy Corbyn over anti-Semitism. The British Labour Party has dropped an investigation into MP Margaret Hodge over a confrontation she had with leader Jeremy Corbyn, the BBC reported Monday. The confrontation between the two following the party’s recent approval of a controversial new code of conduct which failed to adopt the definition of anti-Semitism by the International Holocaust Remembrance Alliance. The disciplinary action came after Hodge allegedly shouted at Corbyn about anti-Semitism in the party, calling him an "anti-Semite and a racist" and adding, "You have proved you don't want people like me in the party." Hodge tweeted she was pleased the party had scrapped any action but added neither side had apologized. She also released a strongly-worded response from her lawyers, denying reports she had expressed "regret". Earlier, a Labour source confirmed disciplinary action had been dropped and said it came after Hodge had expressed "regret" to the chief whip. However, her lawyers said that although the "decision is welcomed, the basis on which you seek to explain your belated volte face is entirely disingenuous." The letter said their client "did not express regret" and that was a misrepresentation in order to "save face in your necessary climb down". The row between Corbyn and Hodge came as the Labour party continues to be embroiled in controversy over the anti-Semitism within its ranks. 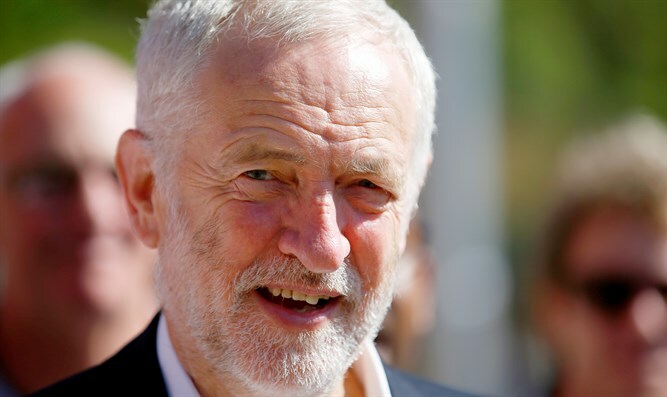 On Friday, Corbyn published an op-ed in The Guardian, in which he acknowledged that the party has “a real problem” when it comes to anti-Semitism, but strongly rejected the idea that it poses any threat to the British Jewish community.